Have you ever looked to your nails to tell you important information about your health? Probably not. 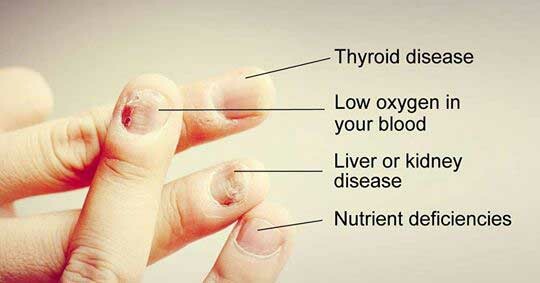 However, certain nail symptoms can indicate notable concerns about your body that you should definitely be aware of. Here’s what to look out for. If your nails appear yellow, it could simply be from repeated nail polish use. 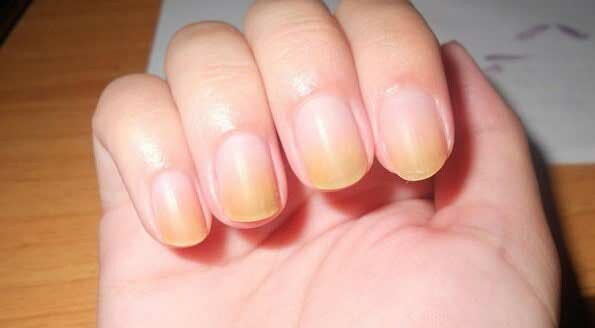 However, yellow nails can also be a sign of smoking, thyroid disease, respiratory problems, or a fungal infection. 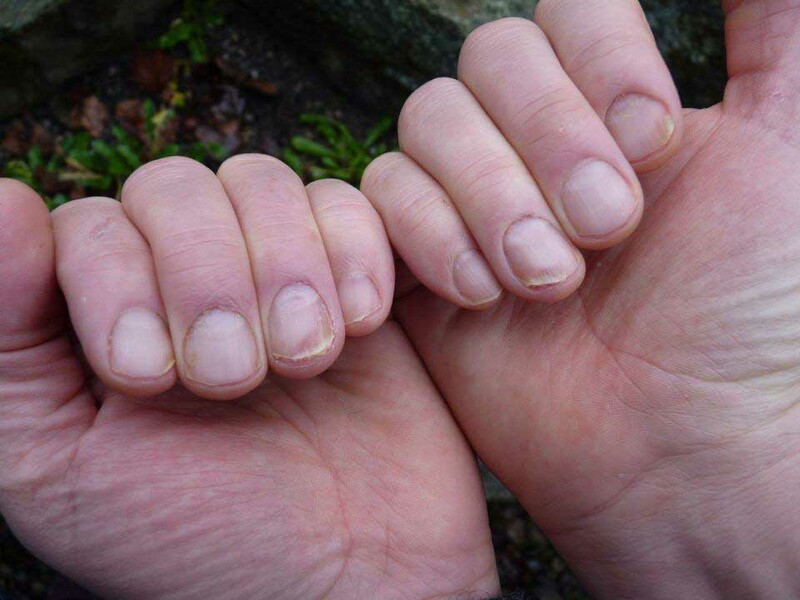 White spots can develop on your nails as a result of trauma or an injury to your fingers. 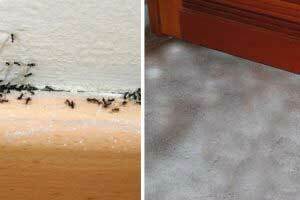 However, white spots can sometimes indicate some sort of fungal infection. 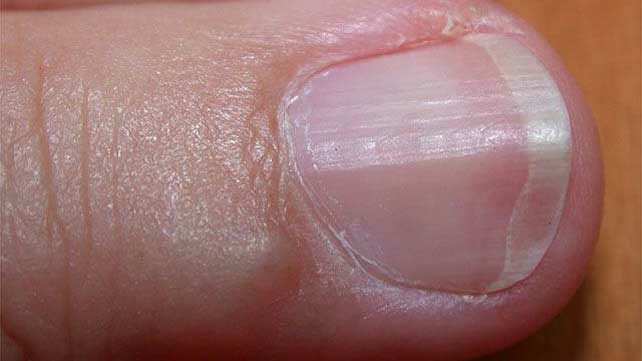 Pitting in the nails is a common symptom in people with psoriasis. If you suspect you may have psoriasis, consult with your doctor or a dermatologist in order to find an appropriate treatment. 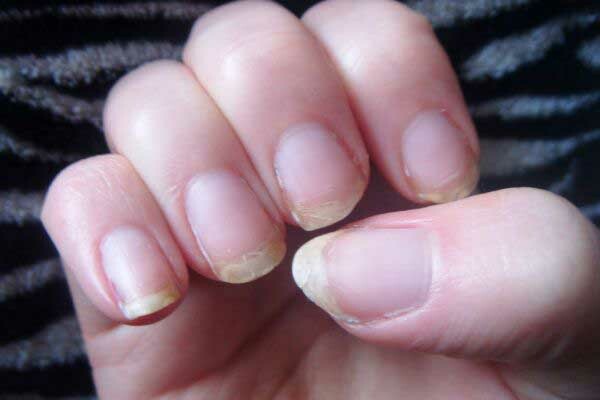 If your nails appear to be curved upwards at the edges (in the shape of a spoon), you could have an iron deficiency, heart disease, or hypothyroidism. Dry, brittle nails are often the result of wearing nail polish too often, frequent hand washing, or coming into contact with chemicals. 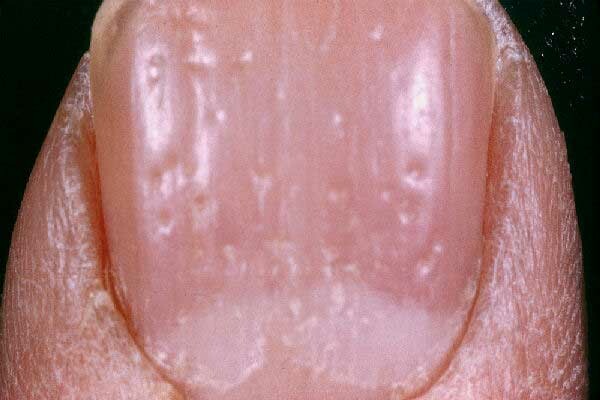 Horizontal ridges often appear on nails after you’ve suffered some sort of sickness or infection. 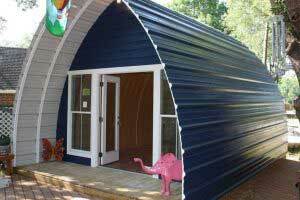 These ridges can also appear if you’re undergoing a lot of stress. 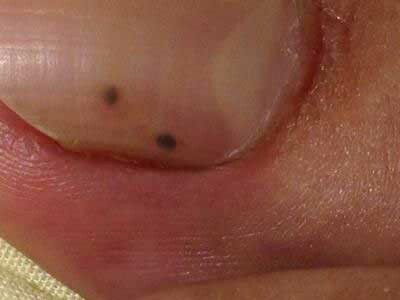 A dark spot or line appearing on your nail or under the nail bed could signify melanoma, a form a skin cancer. 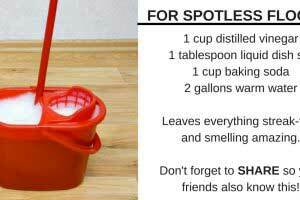 If you see any dark spots or lines, you should consult with your doctor right away. 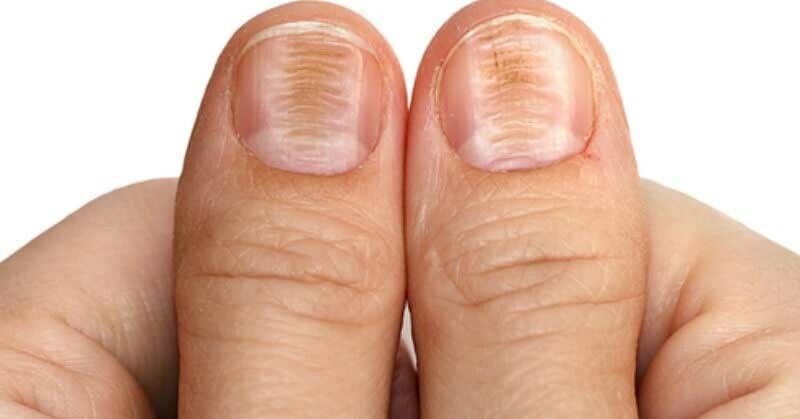 Vertical nail ridges are a common sign of aging. However, they can also point to having a vitamin B12 or magnesium deficiency.